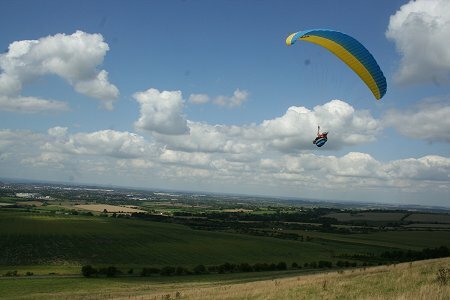 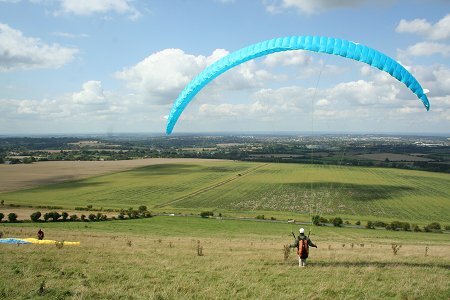 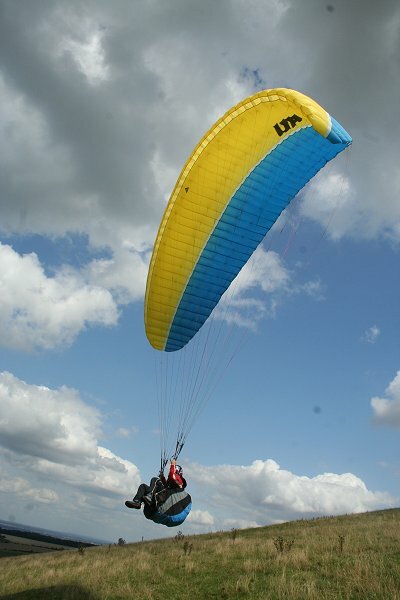 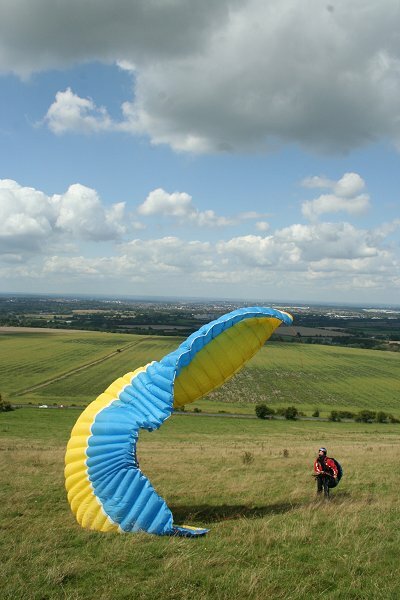 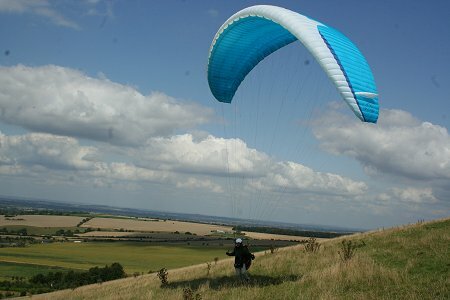 After a truly miserable week of rain, the sun finally came out today - much to the delight of paragliders enjoying a flight on Liddington Hill. 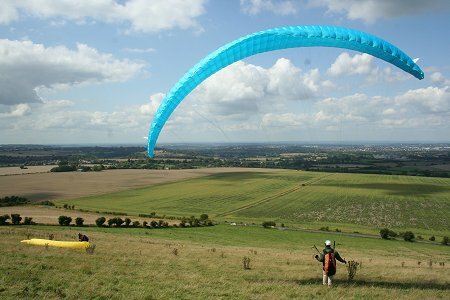 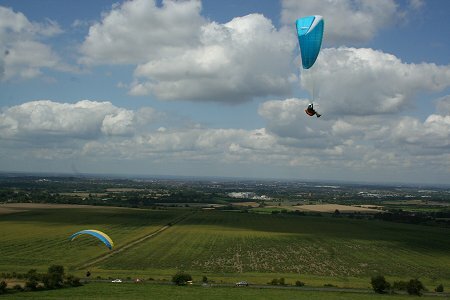 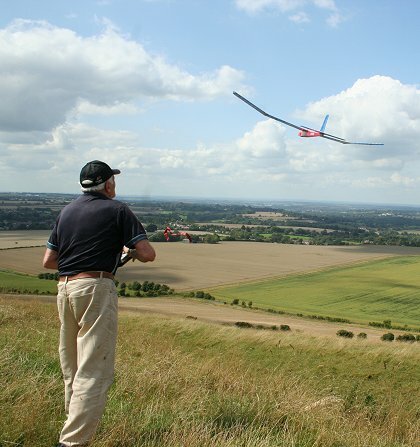 The 'thermals' produced by the sun shining through the cloud cover described by one glider as 'the perfect conditions for flying'. 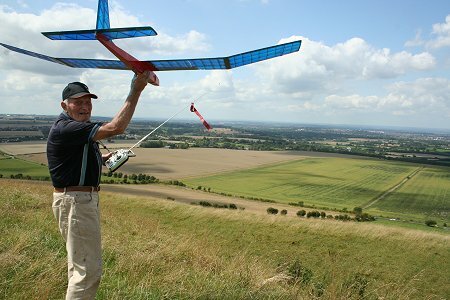 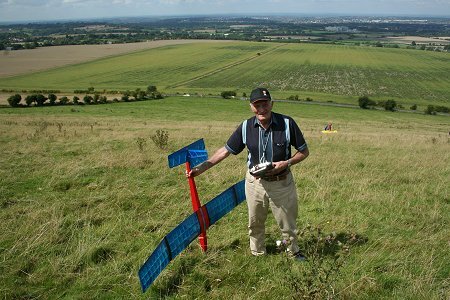 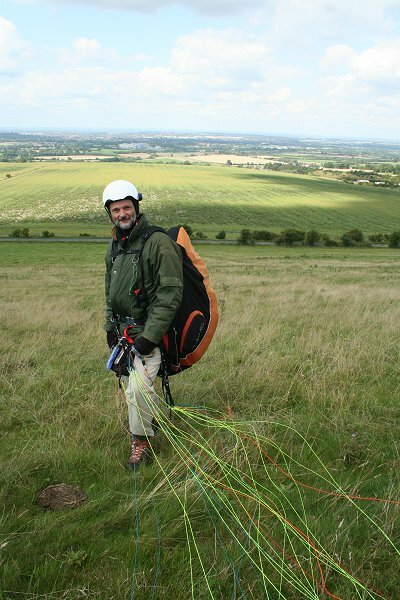 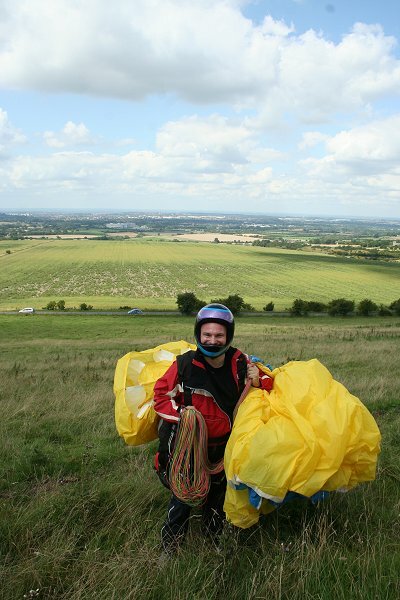 The wind and weather also ideal for 82-year-old model enthusiast Ron Glover from Haydon Wick, who also climbed Liddington Hill for the maiden launch flight of his radio-controlled glider, Gentle Lady. 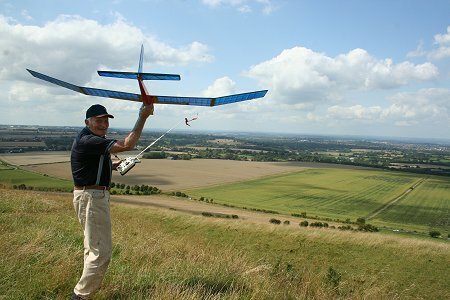 A SwindonWeb photographer on-hand (and puffed out) to capture the magic moment when the model aircraft soared into the sky for the first time. 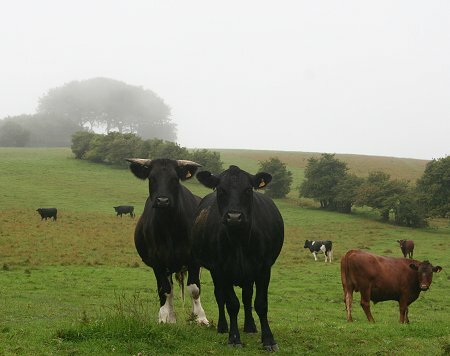 The scene in stark contrast to 24 hours earlier, when a cloud hung over the hill, one of Swindon's most recognisable landmarks, and even the cows grazing looked like they'd had enough of what is fast turning out to be one of the wettest summers on record.